Spring has finally sprung and with it comes the need for a bit of deforestation (as my husband likes to call it!) so we can expose our limbs after months of hibernation without looking like we are still wearing a pair of woolly tights! Once the growth has been removed via whatever means necessary (I was just discussing with a mate yesterday, shaving your legs in the shower and watching the creepy looking “spiders” sliding down the wall after you tap the razor on the tiles ) the next step is to scrub away the dead skin so your legs are smooth and the skin is healthier. A lot of women will then apply some kind of fake tan so you don’t blind the masses when you step out in that cute skirt you have been wanting to wear for months. We like eco tan cocoa firming mousse. You probably exfoliate your face regularly to get rid of buildup and have a fresh, glowing appearance. You can get the same benefits for the body when you exfoliate the rest of your skin. Turns out that your body may actually need exfoliating even more than your face. Not only is there more skin in general, but it sheds dead cells at a faster rate. Did you know that the dust in your home is 75-80 percent dead skin cells? In fact, most of us lose about 4kg of skin through dead skin cells every year. Without regular exfoliation, those cells can remain on the surface of skin for too long, clogging pores, blocking moisture from getting into the deeper layers, and creating a hard, unattractive exterior. So now we know why using a body scrub is a great idea, here are some simple body scrubs that you can quickly whip up from the contents in your pantry and fridge! Coconut oil & Himalayan salts scrub ~ Super easy, whip up 1/2 a cup of solid coconut oil and add a few tablespoons full of pink salt. You can add as much as you like to achieve your desired scrubbiness. Keep cool. 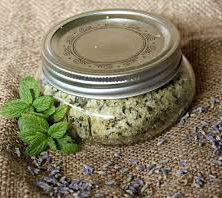 Citrus Salt scrub ~ This is a great wake me up scrub and goof for after doing sports or the gym. Also it is very simple. 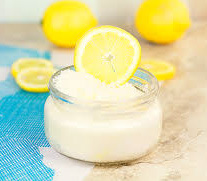 Mix 1/2 a cup of sea salt with a couple of Tbls of almond, coconut or grape seed oil and a heaped tsp of grated citrus zest/ Lime, lemon, orange, grapefruit, a bit of each, whatever you have handy. If you use virgin coconut oil and add a couple of drops of lime essential oil and lime zest, you can make Coconut Lime Scrub! Bliss! Cinnamon Scrub ~ Cinnamon is another good one for helping with cellulite. It is also very good for problematic and itchy skin. It is beneficial as it brings blood and nutrients to the surface of the skin and increases collagen production. We make a lovely face scrub packed with honey and cinnamon. This body scrub is extremely simple. 1 cup brown or raw sugar, 1/2 cup coconut oil (or another cold pressed oil) and 1 tabls organic cinnamon. Best to get your cinnamon from a whole food shop or health food store as the cinnamon you buy in the supermarkets is generally inferior in quality. Green Tea Scrub ~Green Tea is loaded with antioxidants and has antibacterial properties which makes it perfect as a body scrub ingredient. I like to use white sugar in this recipe as it gives the scrub a nice ‘clean’ look but you can use whatever you have on hand. 1 1/2 cups sugar, 1 bag of green tea leaves, I like to add 1 tsp Matcha Green tea powder as it is so high in antioxidants, 1/8 cup cooled green tea, 1/8 cup almond, grapeseed or olive oil. Something light that doesn’t over power the green tea. Brew a tea bag and let it soak while cooling. Mix the sugar, tea leaves, oil, Matcha if adding and the cooled tea. So easy. Enjoy.